This page is a work in progress - graphics coming soon!! Blue Iris Water Gardens stocks a complete line of state of the art pond and water garden supplies. Over 100 varieties of aquatic plants are in stock during the pond season. We hand select many of our koi from the top breeders in Japan and also carry Fancy Chinese goldfish. Sunset Koi & Gardens are proud to offer a complete range of products and services for water gardens, ponds, and aquaria. We can help you, from design to actual construction and installation. 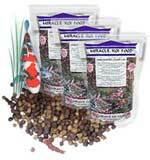 We have in stock everything you need for your pond or aquarium. We also have our own nursery of water plants and ornamentals for around the pond. Our koi and goldfish come from Japan and China: no middleman, we deal directly with the most reputable breeders. Many of our fish have won awards in shows. More than 80% of our business comes from satisfied customer referrals. One of the nation's largest catalog and web sites dedicated exclusively to farm ponds and water gardens. The Pond Guy takes great pride in providing customers with the necessary knowledge and right products to help them succeed at building, maintaining and enjoying their pond or water garden. For the last 30 years That Fish Place has been the premier source for pond supplies, bringing pond keepers the best selection of brand name products at up to 60% off retail prices everyday. From liners, pumps and filters, to live show quality koi, pond plants, statuary and ornaments, we’ve got everything that pond keepers need to build and maintain the perfect pond. With Drake's water garden supplies, you can outfit your yard with a beautiful pond to rival any neighborhood park. We carry everything you'll need to build a pond from the ground up, including pumps, underwater lights, fountain heads, spouting pond ornaments, sundials, pond supplies, bog and water plants, koi and goldfish. As one of the earliest local purveyors of pond supplies and accessories, Drake's professionals can offer a wealth of knowledge and expertise to help you build the perfect pond. Visit our web site for details on our frequent pond clinics. MIRACLE KOI FOOD the only patented koi food in the world with a maximum of 72% protein and essential vitamins your koi need. Guaranteed to improve the health of your koi, brighten the color and promote growth, or your money back. Also see our Clearwater aquarium & pond filter system, the only true 100% biological,100% filtration, filter available today anywhere. Guaranteed to keep your water crystal clear and fish happy & healthy with no filter cleaning or water changes. Redwood Pond and Garden Bridges. Handcrafted to the size you need for your Koi pond, water garden or landscape project. I use 100% California Redwood and all stainless steel hardware. The best quality at the lowest price for California Redwood Pond and Garden Bridges. Redwood Garden Bridges will bring any backyard landscape alive. Unique and beautiful they add a touch of class, placed over your Koi pond, dry Creek or stream. Experience the magic they bring to an outdoor setting as a centerpiece to your haven. Custom built to the size you need for your landscaping .We've Been Creating Bridge Masterpieces since 1998 , all our customers have been extremely happy with there Redwood Garden Bridges.